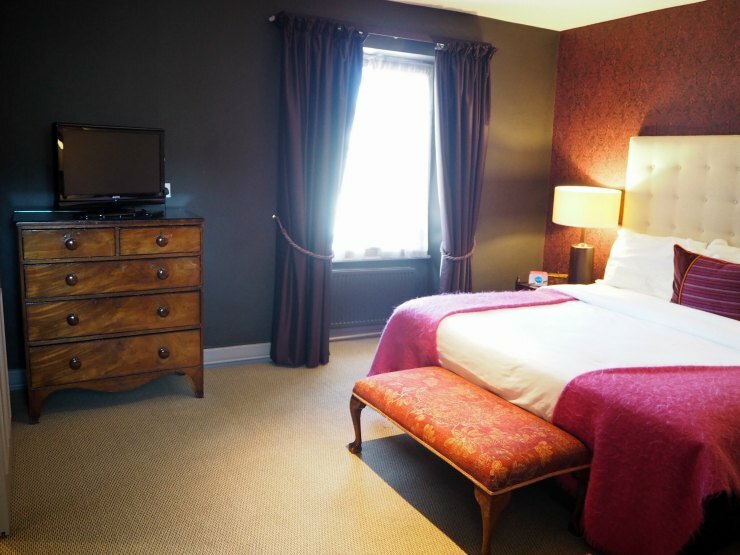 Imagine the most idyllic Cotswolds location, with cute little restaurants, antique shops and a deli selling local meats and cheeses, and this is where the Feathers Hotel is located, in Woodstock England. 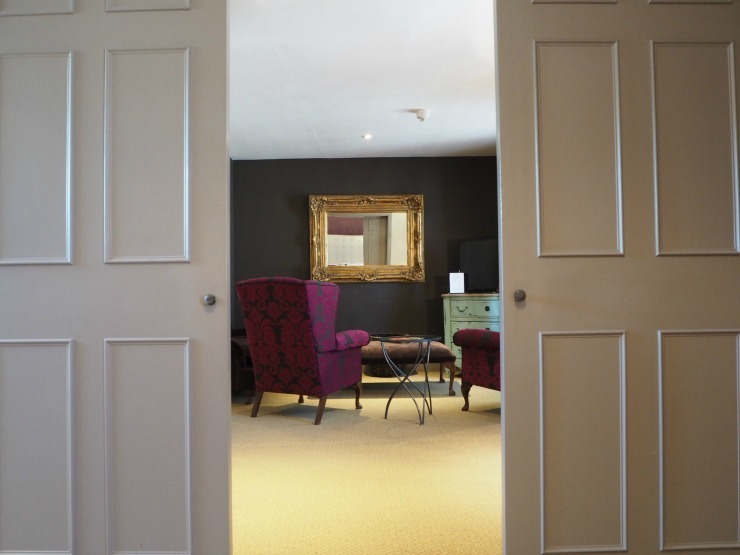 The Feathers Hotel is one of those hotels you may stumble upon but is a well-kept secret, the sort of hotel you don't really want others knowing about as it's just too perfect and you want to keep it all to yourself. 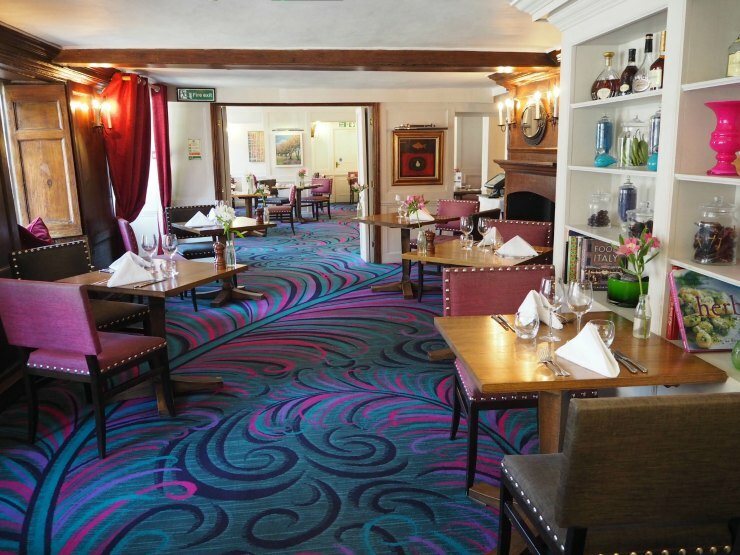 It's not always easy to find a traditional country hotel which mixes traditional decor with modern facilities but the Feathers hotel manages to do just that. Check in was swift and the receptionist welcoming and polite. 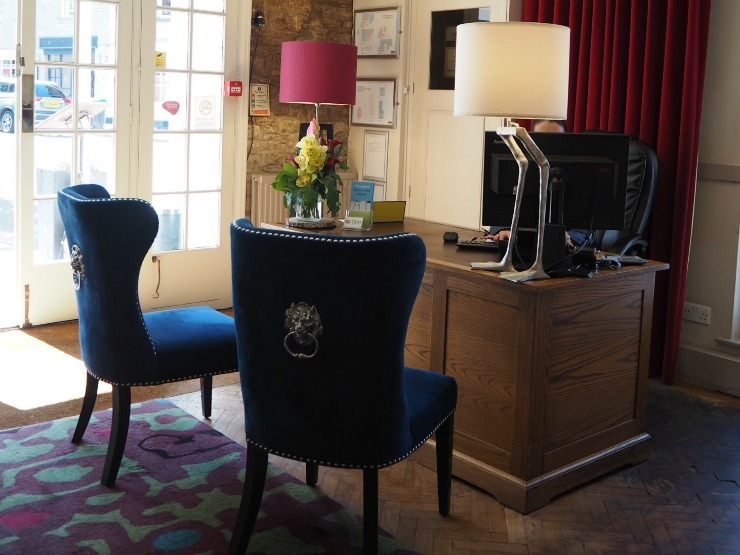 The hotel is decorated like a modern version of a country house hotel - I personally loved the decor and immediately thought Kirsty Alsop would be very happy here! We were shown to our room on the top floor. Stairs were winding and due to the fact that this is a 17th-century building then there is no lift, but it was so worth it. Our suite was huge! 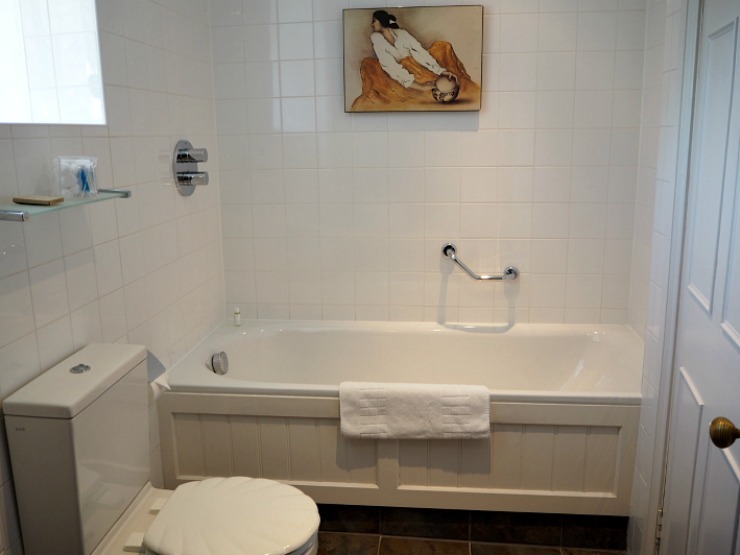 The suite was a collection of three spaces, a dining area, lounge area with a toilet, and a separate bedroom with an ensuite bathroom. The dining area was big enough for six to sit around. There was also a tea and coffee tray with kettle and a phone in here. 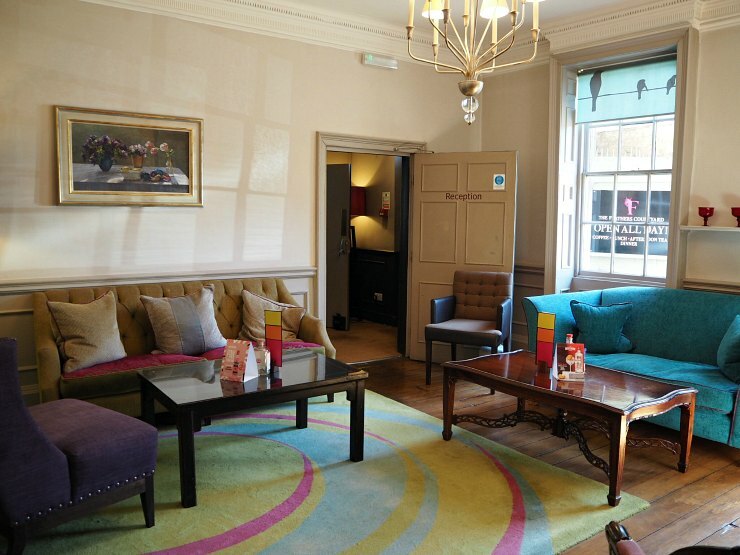 The lounge area was very comfortable, with two chairs, a sofa, small table and footstool. The TV was a smart TV which is always nice to have to play YouTube. 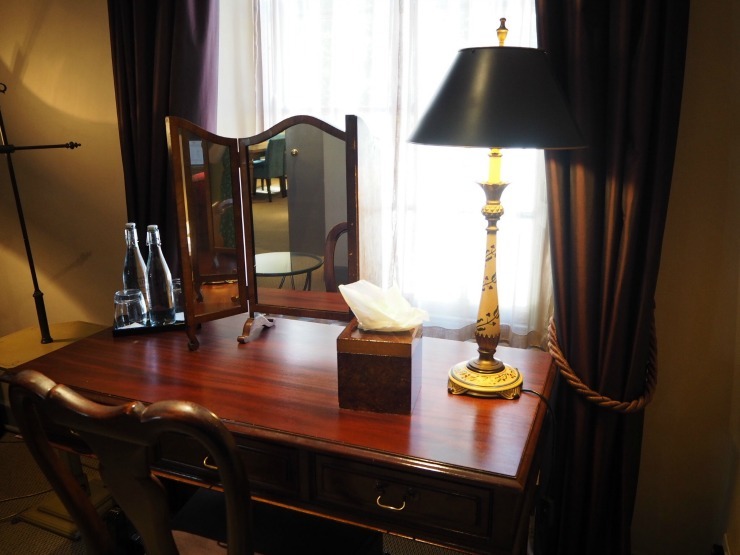 There was a dark wood dressing table here and mirror. Always useful to have a dressing table in the room, and plug sockets were next to it so you could plug in a hairdryer. Bottles of water were provided. 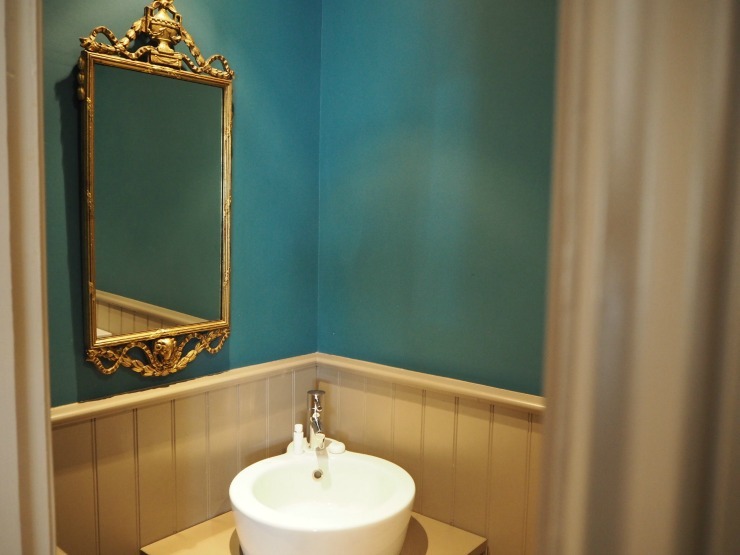 It was great to have a second toilet with wash basin and mirror, as Mr W always hogs the bathroom getting ready in the morning! The bedroom was through a set of doors which added privacy. The bed was a king size and was super comfy. Mr W jumped on it to test it out, he's a big kid at heart, even though he looks like an old prune (only joking). The bedroom had air conditioning which was really appreciated on one of the hottest days of the year. There was also a fan in the lounge if required. 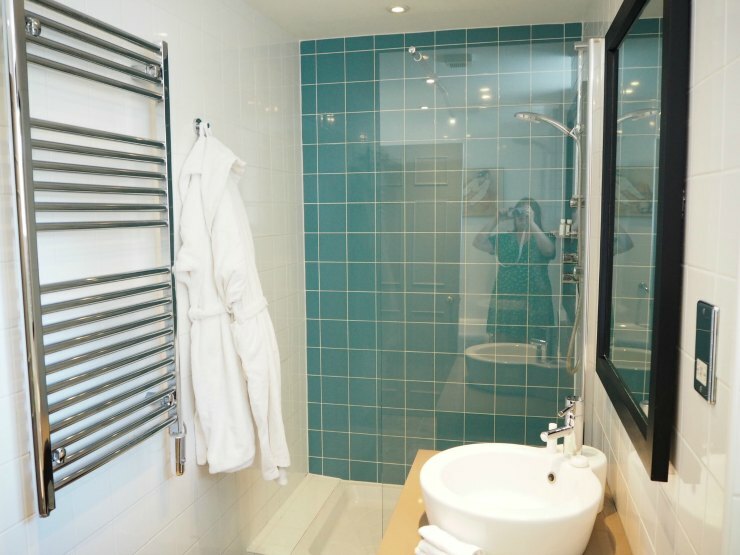 I was impressed that the bathroom was super modern with a shower, separate bath, toilet and sink. Some things you want modern and up-to-date don't you? Fluffy robes added a nice touch and complimentary toiletries were provided, as well as cotton wool and cotton buds. What you can't really comprehend from the photos was the size of the suite which must be the biggest hotel room I've stayed in, in the UK. So we decided to have a wander. Downstairs there is a lounge area, a dining room and also a bar. As you can see it was all decorated in rich colours, giving a feel of heritage and luxury. The small bar was jam-packed full of gin! 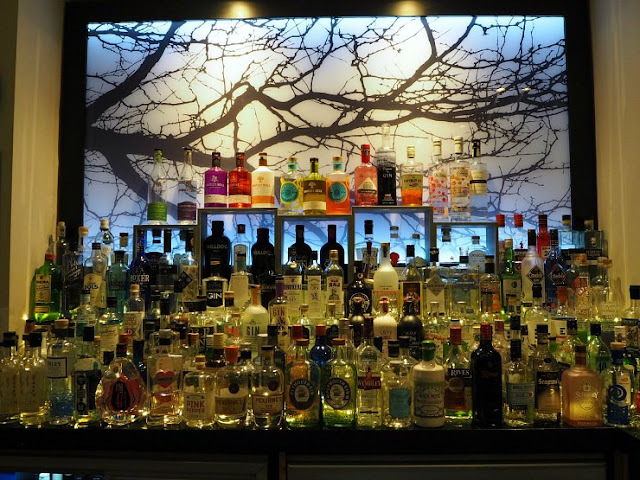 They make a point of stocking over 400 gins and have a place in the Guinness book of records for offering the greatest selection of gins on the planet. 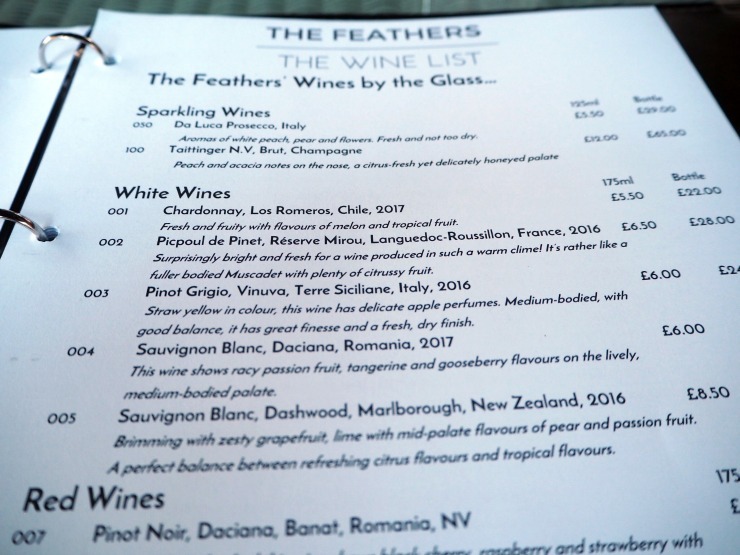 If you don't like gin though, don't panic, as the wine list was more than adequate too, I had a lovely Sauvignon Blanc by the glass. and with a decent selection of spirits then all your liberation needs are met. 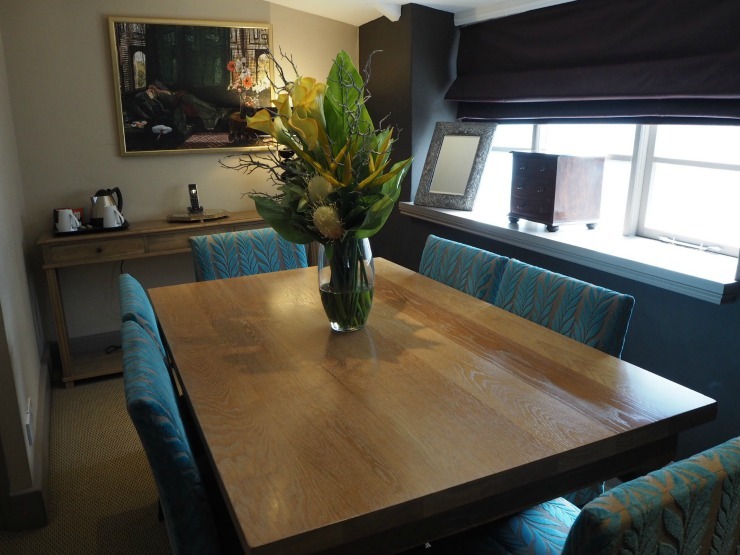 The dining room was again decorated in rich colours and was impeccably set out. 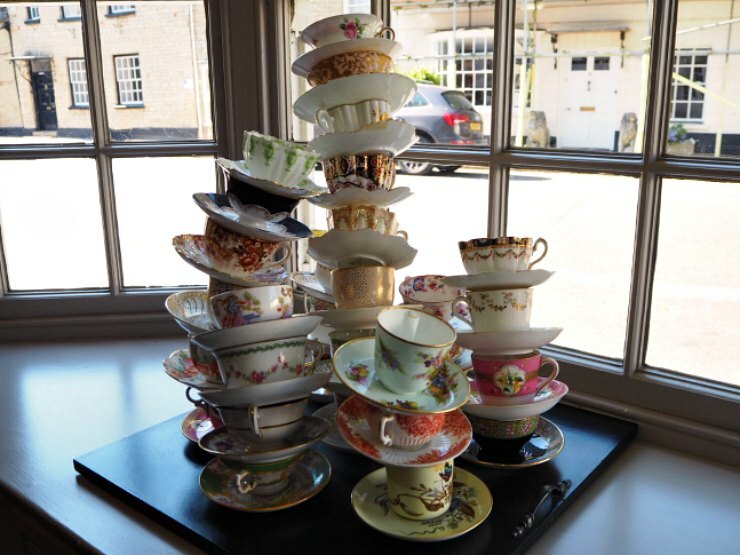 Love this quirky display in the dining room of stacked china, it reminded me of something out of Alice in Wonderland. So we went back to our room to freshen up and returned downstairs for dinner at 7.30PM. When we checked in the receptionist (Monica?) suggested we take our dinner in the outside courtyard, so we decided to do just that. 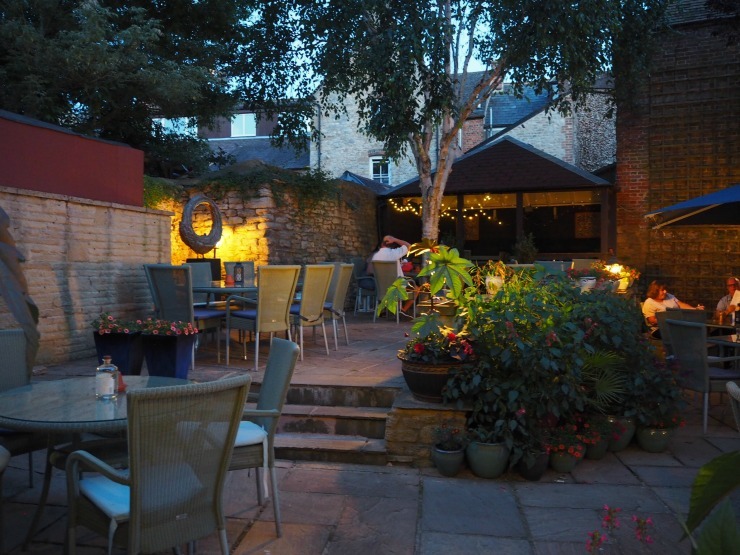 The outside courtyard is a really lovely area to have drinks or a meal. Service was attentive from Flavio. We ordered a gin cocktail to start then looked over the menu. 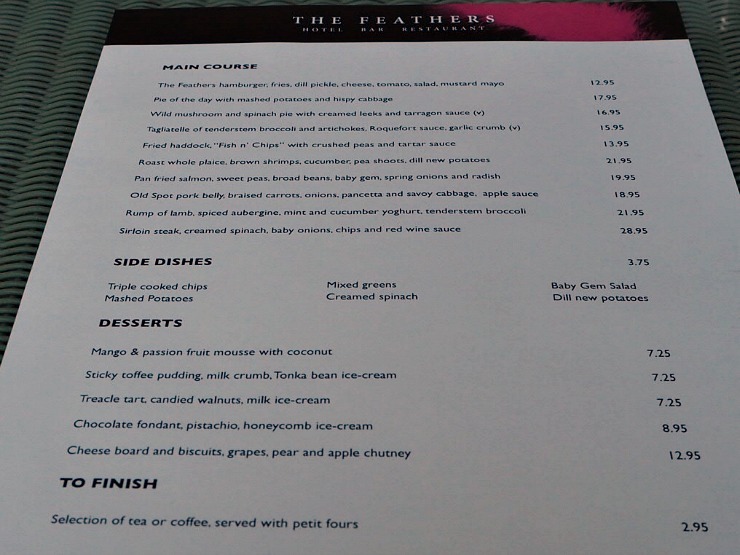 The menu had a wide range of items from fish and chips and steak, to pork belly and lamb as well as a vegetarian option. 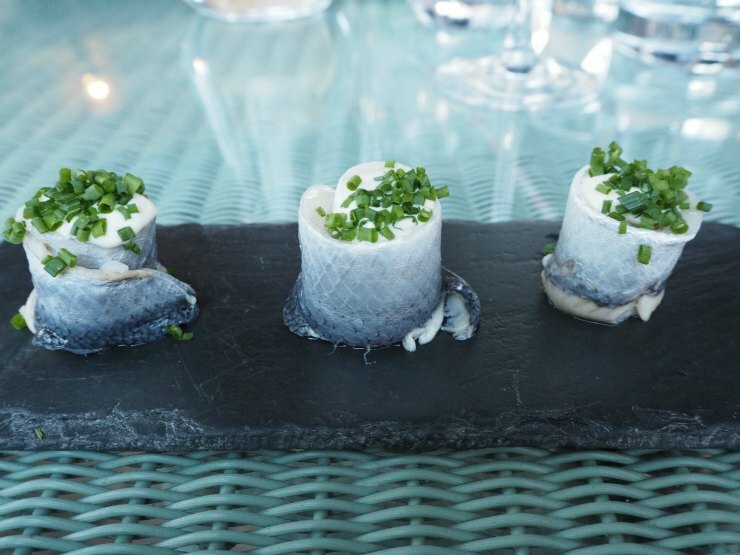 I had rollmops (pickled herrings) on the nibbles section to start. They were good with a mild horseradish cream inside, and tasted strongly of the pickled vinegar, but exactly as they should be. Mr W ordered the Ceasar salad which came with chicken. 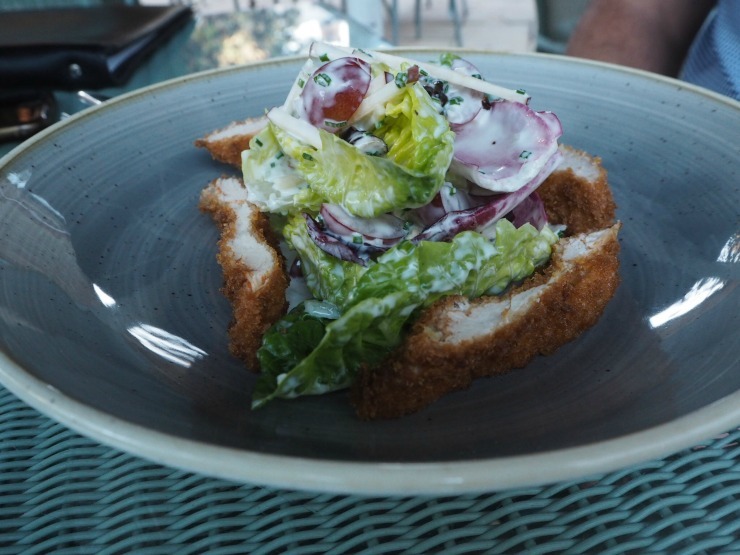 I felt the salad would have been better without the chicken as it was so tasty on its own and the chicken didn't add anything to the dish. 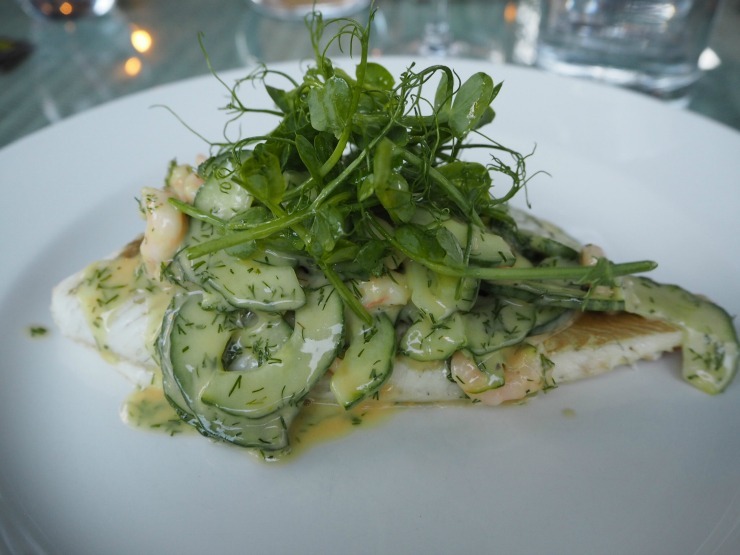 For mains, Mr W ordered a tagliatelli of broccoli and artichokes with a Roquefort sauce and I ordered plaice, brown shrimps, cucumber and dill new potatoes. Both dishes were beautifully presented and looked very appetising. 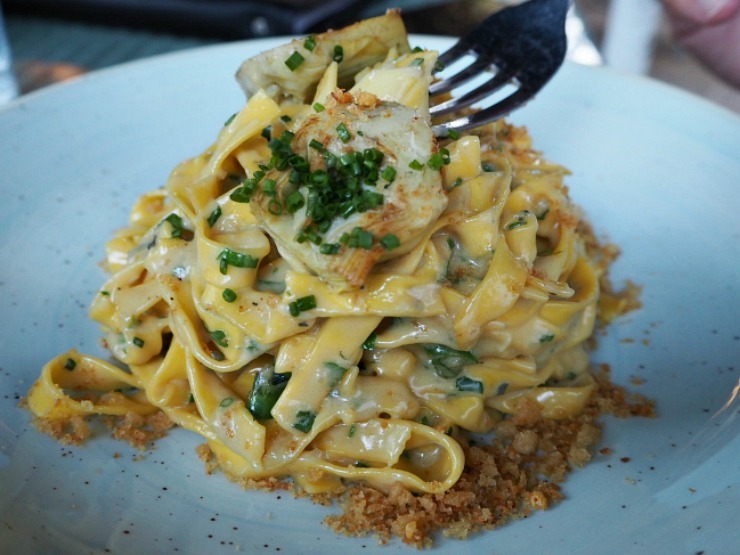 Although the fish was tasty in the dill sauce, the tagliatelli was amazing, so rich but utterly delicious, and the Roquefort didn't overpower the pasta either. 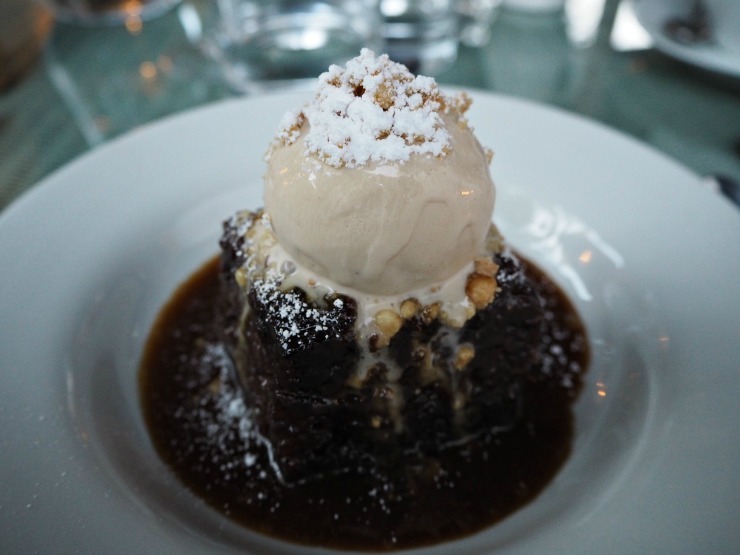 But the best was yet to come, a sticky toffee pudding, with a light as a feather sponge, drowning in a sweet, sticky, moreish toffee sauce and accompanied with a tonka bean ice cream with hints of vanilla. Possibly the best sticky toffee pudding I've ever had. Just outstanding. To round off the meal, Mr W decided to have coffee which came with the most delectable petit fours. 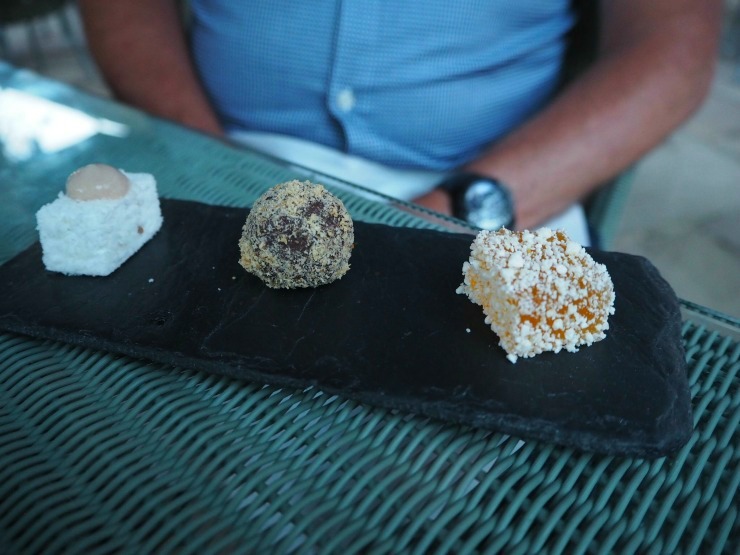 A light coconut sweet, a dark chocolate truffle and a fruity petit four, with mango and passion fruit flavours. The last petit four I popped in my mouth and had a cool little surprise, a topping of popping candy fizzed in my mouth and added a little touch that was just delicious. So with full stomachs, we retired to bed. We slept well on the comfy bed and the next morning, we came downstairs to have breakfast in the dining room. 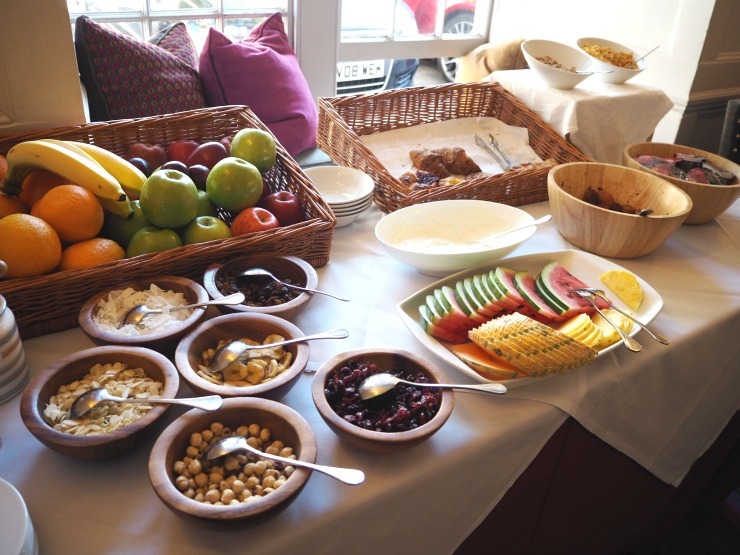 There was a small continental selection of fruit, cereals, pastries and yogurt to start. You could order from the menu. 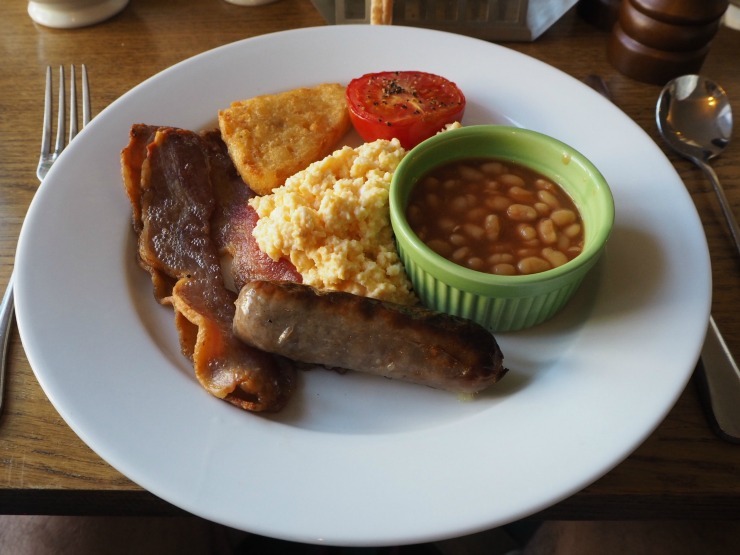 Choices on the menu included a full English breakfast, poached or scrambled eggs, kippers, pancakes with bacon and maple syrup, smoked haddock and more. 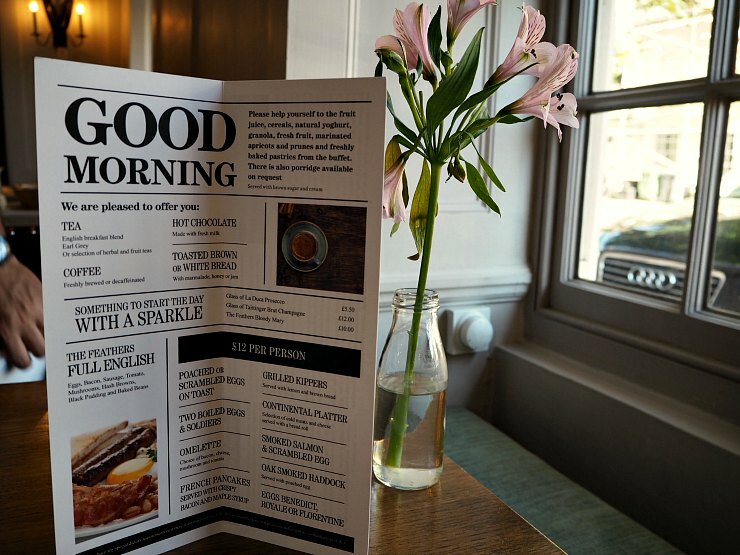 You could even order a glass of prosecco to go with your breakfast. 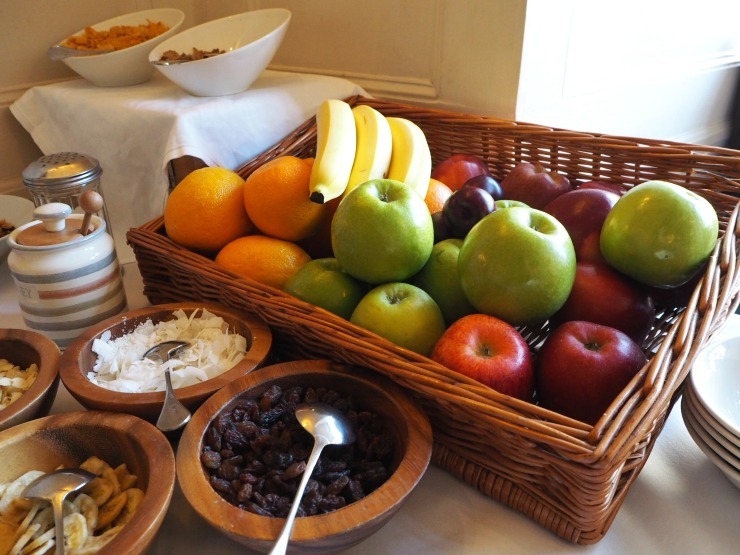 We helped ourselves to fruit and then the waitress came around and took our order for tea or coffee and also toast. We ordered a full English breakfast and a bacon and mushroom omelette. Mr W enjoyed his full English breakfast whilst the omelette I had well prepared, seasoned, light and fluffy. Our time was up at the Feathers hotel so with heavy hearts we packed our suitcases and headed home. So was the Feather hotel perfect? Well, of course, nothing is. The suite was lovely but may not be to everyone's taste if you like minimalism. The building is old and they don't have a lift but it adds to the character. 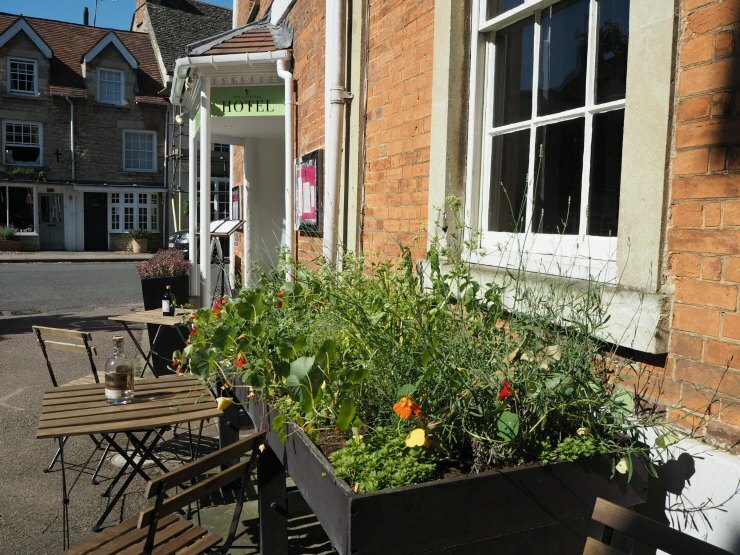 I couldn't really fault the food or the location in Woodstock, a charming little town by the entrance to Blenheim Palace. What I did notice though was that it felt like a real treat to stay here. 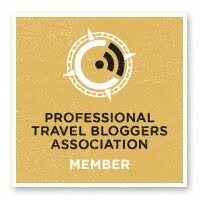 Check out the video Mr W made for the travel blog and YouTube channel we run together Fly Drive Explore. Would I stay again? Most definitely. 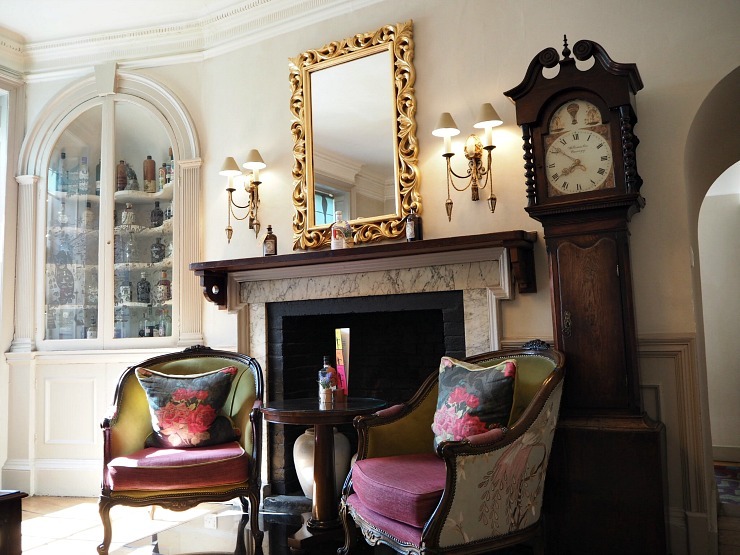 The Feathers is a hotel jam packed full of character, personality and vivaciousness. Staff were very well trained, and the food excellent. I would certainly stay again, and In fact, I am planning to take my mother-in-law here on a visit to the area. Highly recommended. How lovely does this look as somewhere to stop and stay. 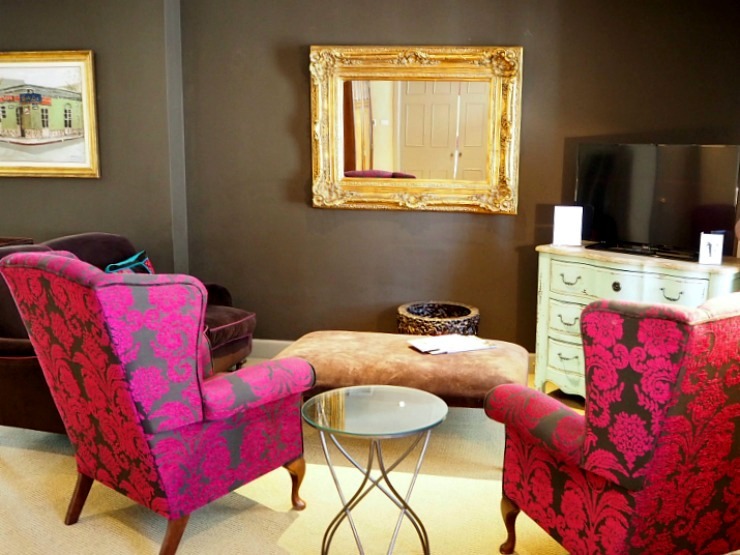 Woodstock is a lovely area as well with some really great things to do and see! I love the quirky nature of some of the decor that china tea cup statue is so interesting! 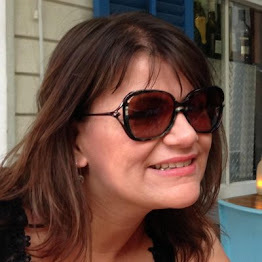 Woodstock is a beautiful area Sarah-Louise and the hotel was beautifully decorated. I loved the cups! This looks like a really fantastic hotel. Sadly places like this tend to struggle with offering vegan food (that isn't a pile of rocket) so we usually tend to go to Airbnb's. It looks like you had a really romantic suite and an idyllic stay. I have to admit I am not sure of the Vegan options so can't comment really but the staff were accommodating and I think if you inform them in advance it wouldn't be a problem. I use to live so close to Woodstock and would love a day out at Blenheim palace. 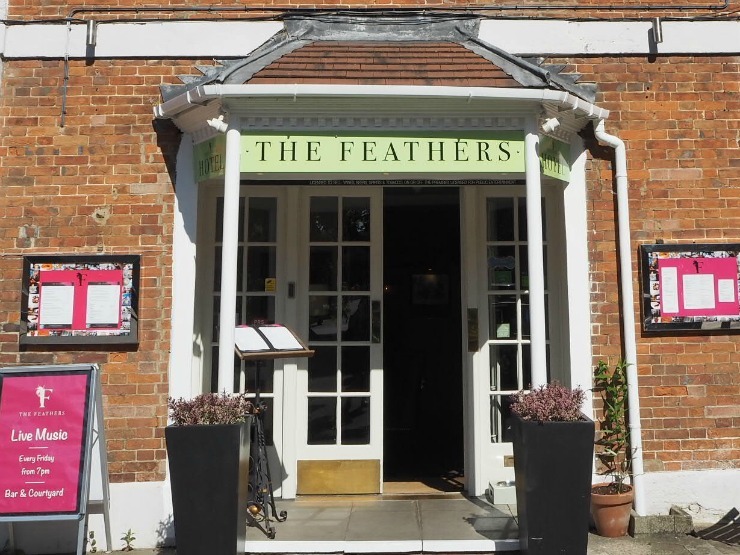 I've never been to the Feathers but wish I'd know about it when living in the area as it would be perfect for a romantic night away - I love the old fashioned, luxurious decor and I've never minded a post-dinner climb to bed! It did feel like a romantic hotel, the courtyard also had a lovely atmosphere in the evening. I can't believe how good that pasta was Rhian! This looks like such a glamorous place to stay. Can't believe you had a second bathroom. 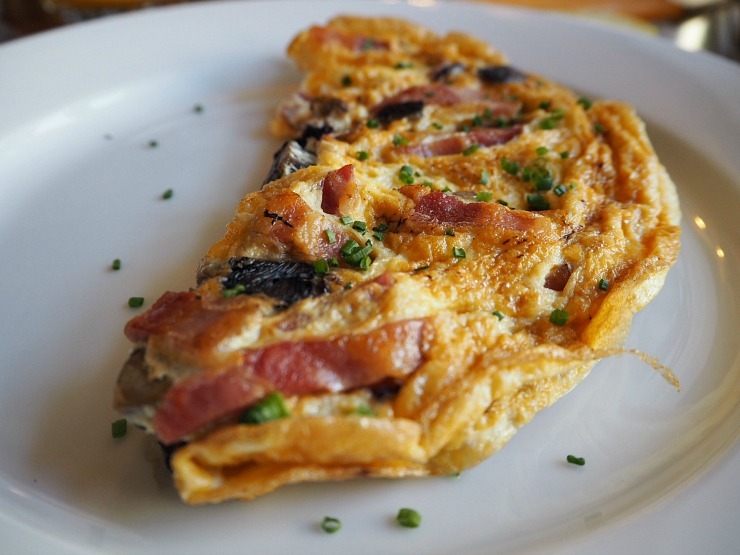 The breakfast looks really decent, especially that omelette - yummy! 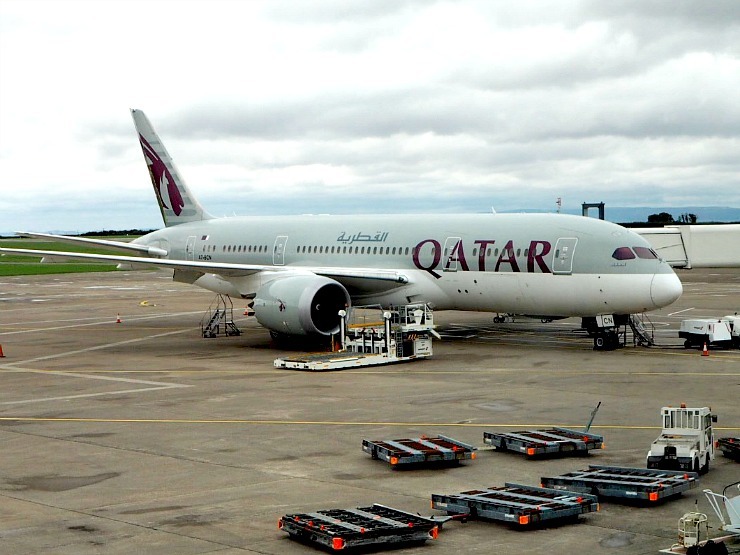 It did feel very glamorous I must admit, and I felt well and truly spoilt. I've never been to the area but I would love to go and stay here. The place looks so beautiful. It is a beautiful hotel. I used to live near Woodstock, such a pretty part of the world. 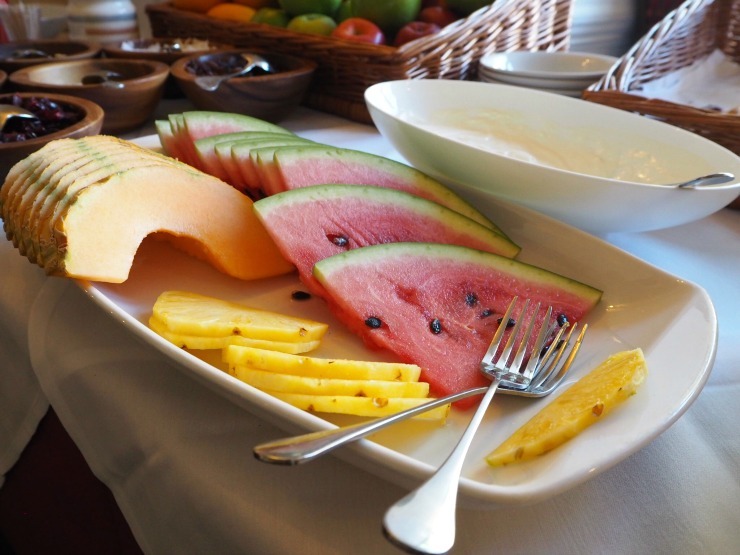 This hotel looks amazing and the food looks so good! I wish we have smell-o-vision so you could smell how good the food smelt! I love the tension to detail they have put in throughtout the whole hotel. It has a warming welcoming feeling with that added class. The bathroom looks incredible. I’m a huge stick toffee fan so it’s nice to see it on the menu and that you really enjoyed it. That dessert was fantastic Kirsty! The teacups were really cute, it reminded me of Alice In Wonderland. What an absolutely gorgeous hotel, I love it. The food looks wonderful too, I could do with that plate of tagliatelle right now! 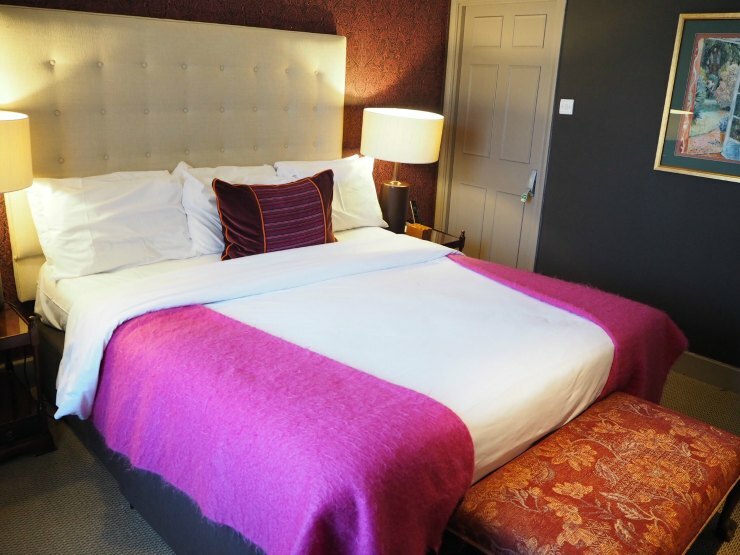 I think I fell a little in love with the hotel Nichola, and I must admit that hardly ever happens when I visit so many hotels. Wow what a beautiful place to take a break! The Cotswolds really do seem idyllic - I hope to get a chance to visit some time soon. There are so many lovely little villages in the Cotswolds. It's a lovely area to explore. I could live there too. This is just stunning. 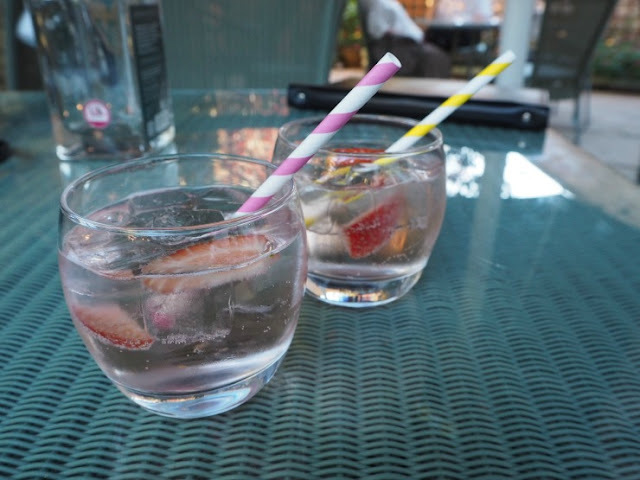 Also with that many gins I can see this is a place I'll need to take my in-laws at some point!